This gorgeous delicate sterling silver necklace measures 41cm in length. 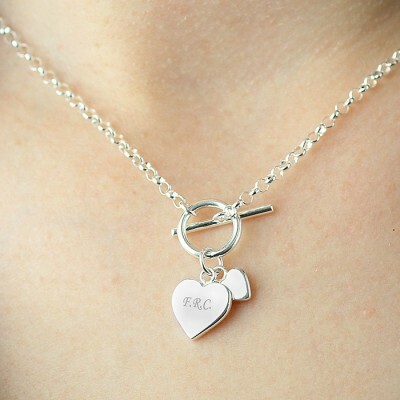 It is engraved with up to 3 initials on one of the two heart pendants. 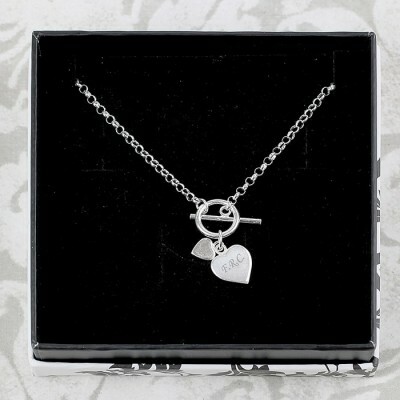 A great gift that any special lady will love to wear and cherish forever. Necklace also comes presented in a gift box.